FREE U.S.A SHIPPING ORDERS OVER $75! Should you use an Instagram Growth Service for Fitness Followers? Whether you are new to Instagram or you have had a lot of experience, you can benefit from using an Instagram growth service. They work by doing all of the things you would do to promote your account. They follow people in the fitness industry, like their photos, or comment something nice. This can be very helpful for a lot of people who don't have the time to promote their own account full time. If you find yourself spending too much time in the day liking photos or following random accounts, then an Instagram growth service is likely to be a good choice for you. Am I Just Buying Followers? When you use an Instagram Growth Service, you are not buying followers. You can think of Instagram growth services as consulting services that have your best interests in mind. They will help you grow your account and bring you new followers per day. Some of them can even give you 100+ real followers every day. The exact number of followers you get depends on your account and the quality of your posts. Since these are real people, they have to decide to like your posts and engage with your photos. There are a bunch of Instagram growth services out there. We recommend using Social Network Elite. 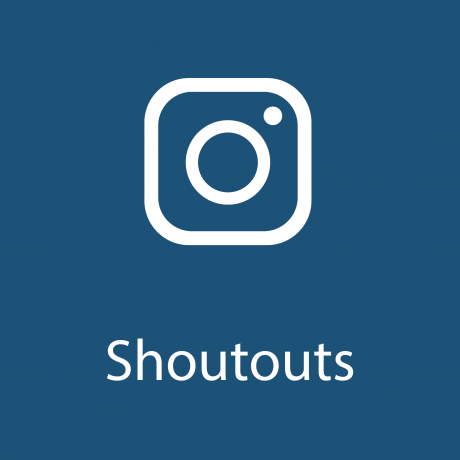 They are currently the best Instagram Growth Service on the market. They use advanced targeting techniques that allow you to pinpoint your target audience such as geo-location targeting, hashtag targeting, or even targeting by gender. The best part is that they offer a free week trial for any of their plans. Head to their website to learn more and sign up for a free 7 day trial! Are you new to the fitness game? You probably follow some really gifted bodybuilders who inspire you and make you push for more. Instagram is a great outlet for people in the fitness industry. It allows you to show off your gains and you can block or ignore any negativity that comes as a consequence. Many people ask, what is the best way to get fitness followers on Instagram? There are a few ways you can go about getting more followers in the fitness industry, and this guide will highlight just a few of them. You can find other people in the industry and see if they are willing to feature your page. This method takes time, but it is worth it. These shoutouts are usually permanent. The people who view the page will always see your photo and will be delighted with your content. They will follow you and like your photos. Instagram is as 2 way street. You have to give some love to get love in return. Find people who are posting with #fitness or #getfit or #instagramfitness and follow and like their content. If you make a good impression, they will follow you back. It is better to focus on smaller accounts with this method. Someone with 50k followers isnt likely to follow you back, no matter how much love you show them. If you are serious about building your influence on Instagram, then you should consider hiring a company that will help you with that. Instagram growth companies will target people based on the hashtags they use or the people who follow influencer accounts in the fitness niche. For example, a service like this could find the people following @simeonpanda and follow his followers and like their pictures. That way you know the followers are relevant to fitness and you benefit from the interactions. One of the best companies that provides a service like this is Social Network Elite. They specialize in getting people followers in the fitness industry. With over 500 clients, their system is time-tested and proven to be effective. If you have ever asked yourself how to get fitness followers on Instagram, these guys are the answer! Copyright © 2019 Just Gym Apparel. Powered by Shopify.